Designers have to deal with frequent changes in the architectural floor plan, sometimes without any help from the architect regarding what has changed that is relevant to the electrical design work. 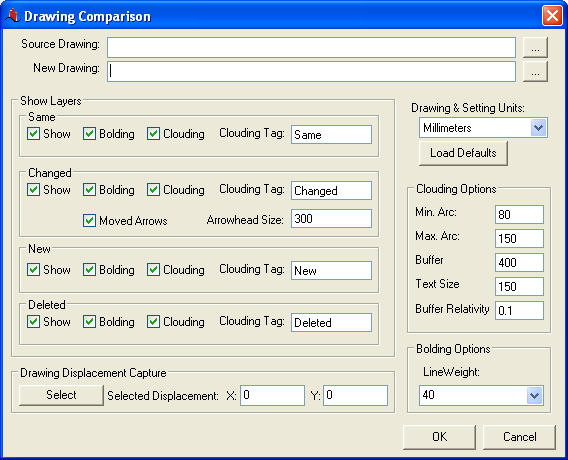 DraftLogic Electrical includes the Drawing Compare feature to identify each and every difference between two drawings. This includes, but is not limited to: new entities, moved entities, deleted entities, and visible/invisible attribute changes. Indication of changes is made by providing you with summary layers for each of same, changed, new, and deleted entities. You have the option of having any of these bolded or clouded. The changed/moved entities can also have arrows showing where they were in the source drawing versus the new drawing. 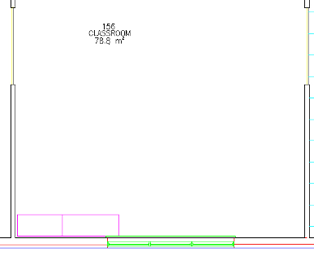 This feature set offers a number of benefits to designers: quickly and accurately identify differences between architect floor plan versions, automatically cloud electrical design changes between deliverables to other consultants and electrical contractors, and enable design team leaders to isolate changes made between design team member's drawing versions. You decide if you want one, many, all, or none of optional indicators: delta arrows to show how far something has moved, clouding around changed objects, or bolding of changed objects. The Autocloud function alone will save you material hours on projects that are being continually reworked by the Architects and client! To the left, we see the Drawing Comparison dialog. if a drawing displacement is to take effect or not. If your base point has changed, DraftLogic Electrical enables you to perform a comparison with different base points between the two drawing versions. A sample of the compare feature: note the counter moved in the top room, the wall between the two lower rooms moved, the number change to the left room, and the counter removed from the room on the right. Moved objects are shown in blue with arrows starting in their original position and ending at their new position. Deleted objects are shown in red. Objects unchanged are shown in green. 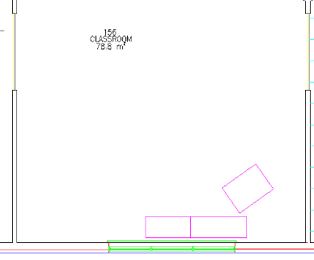 Added objects are shown in yellow, thus the yellow/red appearance of the changed room annotation on the left. • Near instant automated comparison of two drawings to see what is new/changed, deleted, and unchanged. Saves the user hours of time spent analyzing different versions of drawings to see if project architects moved elements that affect the building’s electrical systems. • Automatic annotation of changes will reduce your staff time on drawing markup and make the building contractor happier as all changes will be marked—no haphazard markup due to human error. In this sample use of the Compare Feature, we enabled the use of clouding for deleted objects. It is your choice whether to apply each of bolding, clouding, and arrows to markup changes in addition to whether or not you even want to show each of added, deleted, changed, or same objects. Note the counters that were moved and the counter that was deleted between the source and changed drawings above. Do you ALWAYS manage to catch every unmarked change made by other consultants in the drawings you work with? DraftLogic Electrical does!